One the major highlight of the Apple Special Event March 2019 is the Apple TV+ service, which will showcase new works of Oprah Winfrey, Steven Spielberg, Jennifer Aniston, Reese Witherspoon, Octavia Spencer, J.J. Abrams, Jason Momoa, M. Night Shyamalan, and several Hollywood celebrities. American technology major Apple hosted the Special Event Spring 2019 at the prestigious Steve Jobs Theater announcing several value-added services to not just people owning Apple devices, but also other brands. After watching the two hour Apple Spring event 2019, I finally get it why the company unveiled all the hardware products a week before the D-Day. Apple wanted this to be all about the services and boy, it had a lot of announcements; with big Hollywood celebrities on stage describing their shows coming to the brand new Apple TV+ service, made it even larger. Apple Pay, which has become a ubiquitous transaction method in several developed markets, will now be paired with the Mastercard-powered Apple Card. It will be available as an app similar to Apple Wallet and also in physical titanium card. Consumers can register for Apple Card and get going in just a few minutes. "Apple Card transforms the entire credit card experience by simplifying the application process, eliminating fees, encouraging customers to pay less interest and providing a new level of privacy and security," the company says. A notable aspect of Apple Card is the reward system; It is clearer and more compelling rewards program than other credit cards with Daily Cash, which gives back a percentage of every purchase as cash on customers' Apple Cash card each day. For instance, if you make a purchase on any third-party store, you stand to get 2% cashback and in Apple Store, you are entitled to get back 3% of the purchase amount. And, if you happen own physical Apple Card, then you can claim 1% cash back. It can be noted that the cashback will be instantly credited to the customers soon after the completion of the transaction. Another interesting aspect of the Apple Card is that there will be no service fees be it annual maintenance, international transaction, no penalty on late payment or over-the-limit fees. 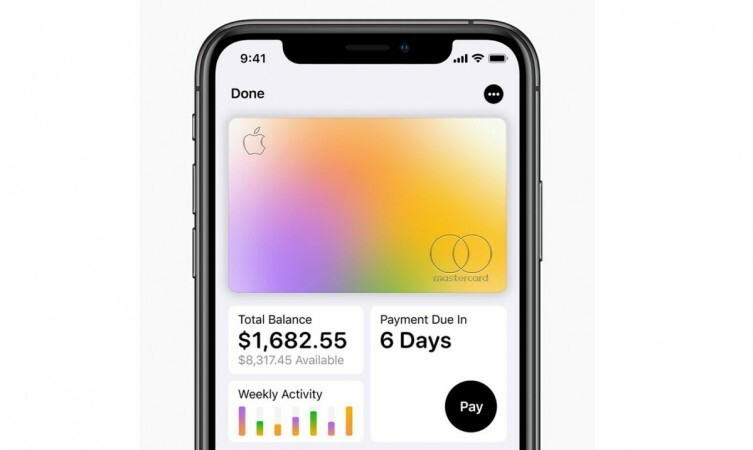 "To help customers make informed choices, Apple Card shows a range of payment options and calculates the interest cost on different payment amounts in real time. As a way to pay less interest, Apple Card will also suggest paying a bit more every month and offers the flexibility to schedule more frequent payments." For the Apple Card, the Cupertino-based company is partnering with Goldman Sachs and Mastercard to provide the support of an issuing bank and global payments network. "Goldman Sachs is creating a different credit card experience centred around the customer, which includes never sharing or selling data to third parties for marketing and advertising. Mastercard will provide cardholders with the ability to shop at merchants around the globe," Apple noted. Apple's App Store is already a home to more than 300,000 paid and free games, but with the new Arcade game subscription service, the user will have exclusive access to over 100 new games, including original releases from renowned creators Hironobu Sakaguchi, Ken Wong, Will Wright, Annapurna Interactive, Bossa Studios, Cartoon Network, Finji, Giant Squid, Klei Entertainment, Konami, LEGO, Mistwalker Corporation, SEGA, Snowman, ustwo games and dozens more. What's more interesting is that the gamers need not have to make any in-app purchases on Arcade subscription. All games are curated based on originality, quality, creativity, fun and their appeal to players of all ages. It will give customers the freedom to try any game from its handpicked collection of titles that are all-you-can-play, have no ads, ad tracking or additional purchases, and respect user privacy. Prior to the announcement, Apple News was available only in the US and now in its new avatar—'Apple News+'-- the company will expand its service to Canada and to the UK, Australia later in the year. With this, customers get access to world's top magazine subscriptions such as The Atlantic, Better Homes & Gardens, Bon Appétit, Condé Nast Traveler, ELLE, Entertainment Weekly, ESPN The Magazine, Esquire, Food & Wine, Good Housekeeping, GQ, Health, InStyle, Martha Stewart Living, National Geographic, New York Magazine, The New Yorker, O, The Oprah Magazine, Parents, People, Real Simple, Rolling Stone, Runner's World, Sports Illustrated, TIME, Travel + Leisure, Vanity Fair, Vogue, WIRED and Woman's Day. Besides them, Apple New+ most importantly give you access to leading newspapers which uphold journalist ethics high and doesn't stoop to click bait headlines. You will be able to read The Wall Street Journal, Los Angeles Times and Toronto Star, Canada's largest daily newspaper. Apple News+ also provides access to premium online publications such as theSkimm, The Highlight by Vox, New York Magazine's sites Vulture, The Cut and Grub Street, and Extra Crunch from Verizon Media's TechCrunch on all of your Apple devices and even your family too, get access to them. 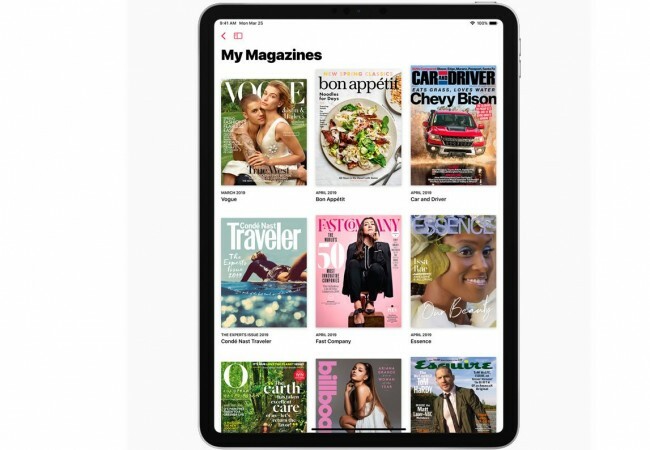 Currently, Apple News+ offers a little 300 newspapers and magazines in digital, which may cost you more than $8000 per year if you subscribe individually, but with the former, you have to pay just $9.99 per month in the US and $12.99 in Canada. The main highlight of the Apple Event was the Apple TV+. The Cupertino-based company has roped in Hollywood's biggest artists, directors and personalities including Oprah Winfrey, Steven Spielberg, Jennifer Aniston, Reese Witherspoon, Octavia Spencer, J.J. Abrams, Jason Momoa, M. Night Shyamalan, Jon M. Chu and more for creating contents for Apple TV+ services. Personally, I feel Apple TV+ has a long way to catch up with the leaders Netflix, Amazon Prime Video, Hulu, among other rivals, but going by the talents Apple has been successfully signed in for the TV+ is really promising. In the event, we were shown a glimpse of what in store for fans when the Apple TV+ finally goes live in the fall this year. Also, Reese Witherspoon will be acting beside Jennifer Aniston and Steve Caroll in The Morning Show and the big star Winfrey Oprah will be bringing multi-part documentaries on important global issues such as workplace harassment and mental health (depression). Apple says that these are just a few, there are several others in the pipeline will all go live subsequently later in the year and plans to add new TV shows every month starting this fall. The company has not announced the tariff of the subscription just ye and it looks like, we have to wait a few months to know. Besides the TV+, Apple also launched the all-new Apple TV app and Apple TV channels coming in May 2019. 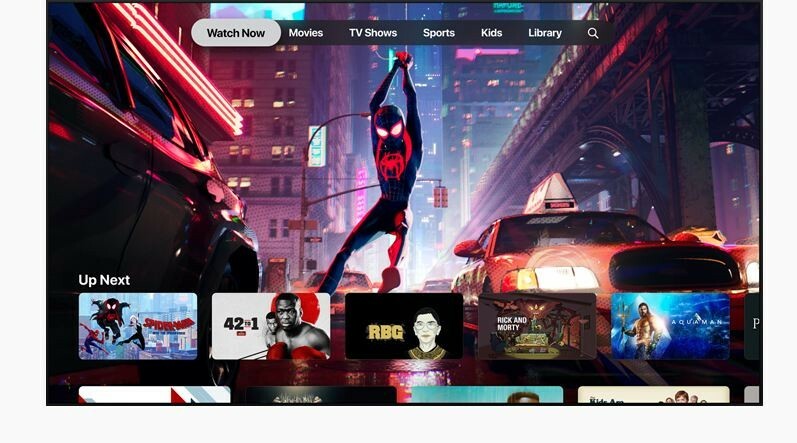 The all-new Apple TV app offers new shows, movies, sports, news and more in one app across iPhone, iPad, Apple TV, Mac, smart TVs and streaming devices. Users can subscribe to and watch new Apple TV channels — paying for only services they want, like HBO, SHOWTIME and Starz — all on demand, available on and offline, with incredible picture quality and sound; consumers can enjoy sports, news and network TV from cable and satellite providers as well as purchase or rent iTunes movies and TV shows all within the new, personalized Apple TV app.